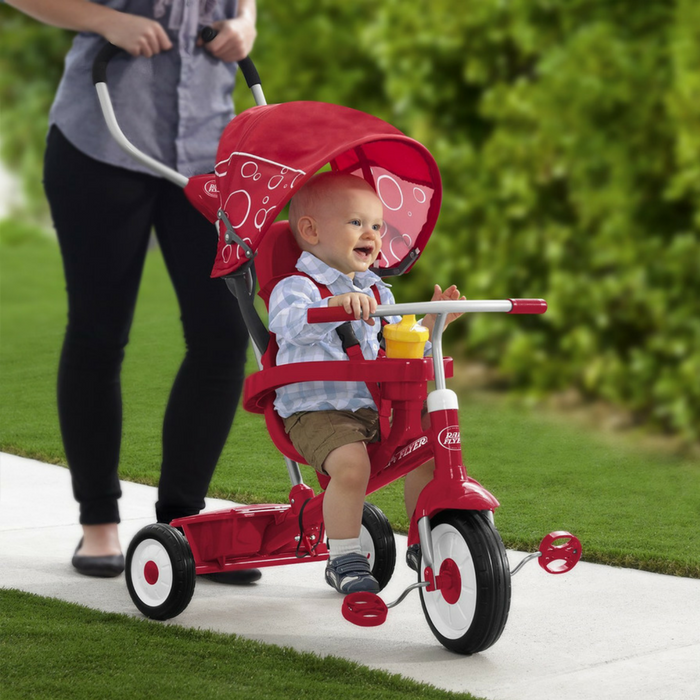 Radio Flyer Stroll 'N Trike Just $59.99! Down From $110! PLUS FREE Shipping! You are here: Home / Great Deals / Amazon Deals / Radio Flyer Stroll ‘N Trike Just $59.99! Down From $110! PLUS FREE Shipping! Radio Flyer Stroll ‘N Trike Just $59.99! Down From $110! PLUS FREE Shipping! Amazon has this Radio Flyer 4-In-1 Stroll ‘N Trike on sale for just $59.99 down from $109.99 PLUS FREE shipping! The Ultimate 4-in-1 Stroll ‘N Trike is designed to grow with your child. It easily converts from an infant trike to a push trike, a learn-to-ride-trike, and a classic trike. The parent pouch and rear storage bin allow you to take along your belongings. It also offers a footrest, seat pad, and safety features for the youngest riders, including removable wrap around tray with cup holder, a 3-point harness, and UV blocking canopy. Adjust the seat and remove the height-adjustable push-handle & canopy and your child is ready to ride on their own. Grows with your child — 4 ways to ride: infant trike, steering trike, learn-to-ride trike and classic trike.